Are you ready for Halloween? I'm getting there. 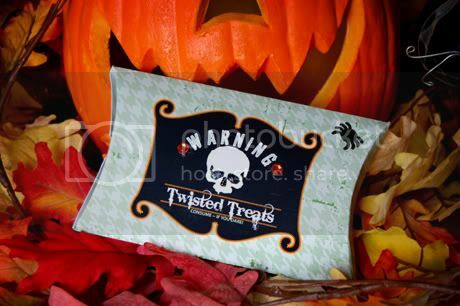 These "hybrid" Halloween pillow treat boxes are perfect for teachers gifts or that special someone. Very simple to make and they look great! 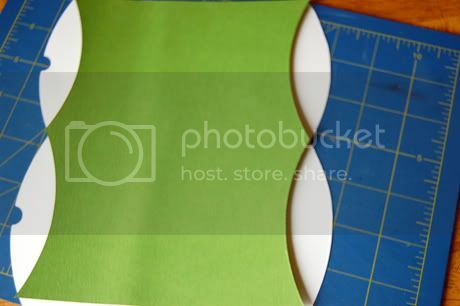 I have provided in a zip file format (at the end of this post) everything that you will need to make these pillow boxes. I have 8 1/2 x 11 pdfs & jpegs complete with a template that you can just print out and cut out with a craft knife. I have also provided both a blank inside and outside template. You'll see what we use the inside one for in a few steps. These files are jpeg, pdf and also svg file format for those of you that use SCAL. I also included a jpeg and a pdf of just the label part. 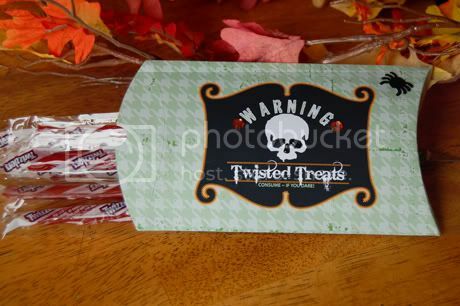 You could add the label to a scrapbook page, or a jar filled with "twisted" goodies. That would look pretty cool on a shelf or mantel. 1.) Print out and cut out the pillow box. (it will fit on an 8 1/2 x 11 sheet. My paper of choice is double sided matte photo paper from Staples brand. Nice smooth card stock. 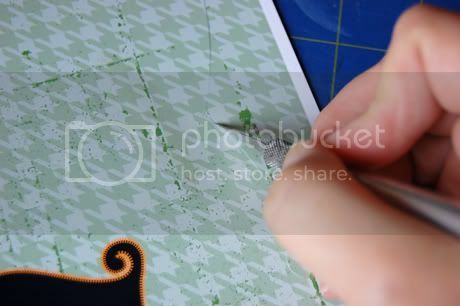 Either use the svg file to cut out on your digital craft cutter, or use the blank template and cut out with a craft knife. 2.) Once you have the outside trimmed out, take the inside template that I provided and cut it out from a scrap piece of cardstock. Now use this template to score your pillow folds. 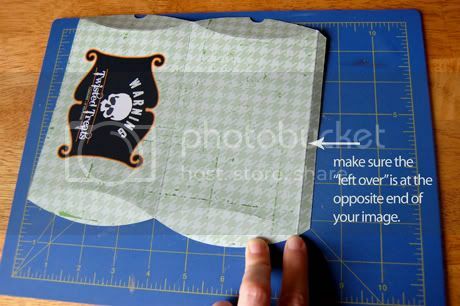 Make sure that the extra space (see photo) is at the opposite end of your label, or your label will get folded under. 3.) Fold along your score marks. 4.) Fold the little extra long flap that I'm pointing to in the above photo, and glue it to the inside of the box. Use clips to hold in place while the glue dries. 5.) At this point, while the edge is drying, you can embellish your box. I used a little bit of Stickles black glitter on the eyes, an orange gem on either side of the word "warning" and I also added a spider brad. Ribbons and twine would look great, too. 6.) Now stuff with candy and enjoy!! 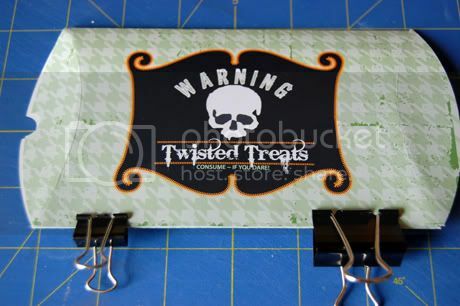 Here is the download of the Twisted Pillow Box kit. Also, since I have provided you with the blank template, you could use any Halloween line that is out there. Ally Scraps just got in the newest Halloween lines from Pink Paislee, Little Yellow Bicycle, Fancy Pants, Bo Bunny (this is really cute! ), American Crafts, Nikki Sivils, and My Minds Eye. Lots of Halloween goodies to chose from!! I hope you enjoyed my pillow treat box. Such a fun and easy thing to do. Very cool project - thanks for sharing the file with us! ooh Lovely project! Thanks for sharing that with us! Ever heard of Core'dinations cardstock?? October came early this year!